Bailey's Point Campground is situated on a peninsula that juts into the Barron River Lake. The peninsula is made up of six hills - each of which is it's own little peninsula. Campsites on these six hills have 180 degree views of the water. Sunsets and sunrises are absolutely amazing to watch from any location on Bailey's Point. Location: 3147 Bailey's Point Road Scottsville, Kentucky. The campground is part of Barren River Lake in Kentucky between the cities of Scottsville and Glasgow. Cost: Camping starts at $17 for standard non-electric sites and $23 for electric sites. Operating Seasons and Hours: Peak Season is usually from the middle of April through the end of October. This was the last stop of the fourth day of our road trip to Tennessee and Kentucky in the fall of 2016. 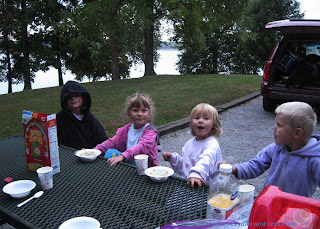 We'd driven from Cumberland Falls State Park and planned to camp overnight at the Bailey's Point Campground. Mammoth Cave National Park was the main thing that my family wanted to visit while we were in Kentucky. When I envisioned this trip I figured we would stay at the Mammoth Cave Campground inside the park. 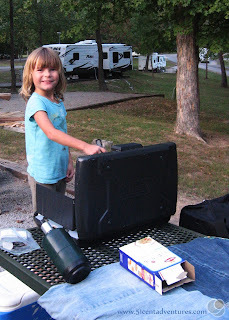 However, due to the unpredictable nature of military life, I wasn't able to make any campground reservations until just a week or two before we actually went on the trip. By that time all the Mammoth Cave Campsites were booked. Fortunately Recreation.gov has a very handy search feature that allows you to find things to do in a general area. 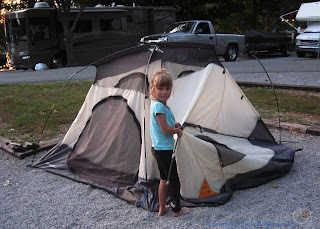 So I searched for campgrounds near Mammoth Cave. Bailey's Point happened to be one of those campgrounds. I'm not sure what motivated me to choose Bailey's Point over the other places on the list. It might have been that it was the closest one to Mammoth Cave that was available the night we planned to be there. 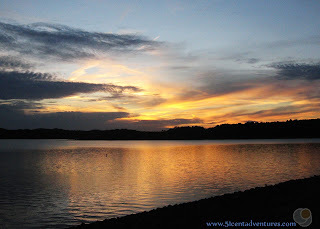 I do remember that I picked our specific campsite based on the picture on Recreation.gov. 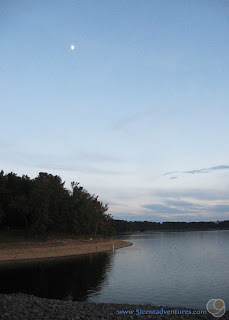 That picture showed a campsite overlooking a lake. It looked beautiful. I'd picked our earlier campground at Cumberland Falls State Park with the same haphazard method, and that had turned out to be an amazing place to stay. I wasn't sure if I would get as lucky a second time. But as soon as we located our campsite at Bailey's Point I realized that we'd found paradise for the second time in as many days. Honestly, Kentucky is such a beautiful state that it might be impossible to find an ugly part of the state. Just as the picture had advertised we were at a campsite on a hill over looking a lake. This is Barren River Lake. The campground was actually made up of six different hills with over 200 campsites dotting the hills. The kids were all happy to be out of the car, and were eager to help set up the campsite and make dinner. Here is one of the older twins helping with dinner. 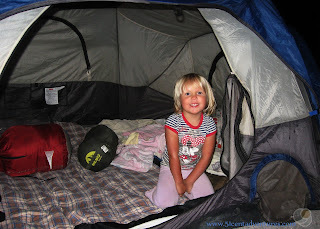 And the younger twin helped with the tent. This was our third night in a tent on this trip and our 14th night in a tent in 2016. The kids were all expert campers by this point. Since we'd be changing campsites every night of this trip we'd decided to bring our small tent rather than our giant tent. It was a little bit of a gamble to plan on fitting all six of us in such a small space, but it actually worked out just fine. In fact, knowing that we did so well with this little tent is part of what convinced us that we could handle living in an RV this summer. Anyway, back to talking about Bailey's Point. I assume that most people that stay at this campground are there for the lake. Barren River Lake was created by the US Army Corps of Engineers. It is 10,000 acres. There are islands dotting the lake that would be fun to explore. We camped in Loop B which was near a restroom that had flushing toilets and very nice showers. This was one of the best maintained bathhouses that I've seen. There was also a heater inside so we ran over there when we needed to change clothes. The evening was absolutely perfect. Dinner went well and then we went for a walk by the lake. Later we built a fire and had a nice time sitting around that and talking. In the morning we woke up to a heavenly sunrise over the water. We were able to enjoy our view of the sunrise during breakfast. I had scheduled our tour of Mammoth Cave for 10:00 in the morning so we couldn't stay at Bailey's Point very long. I took the kids down to the water while my husband finished packing up the car. 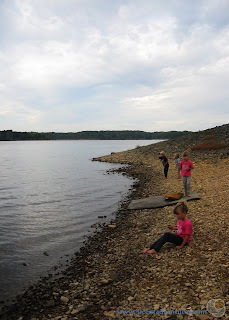 They had a good time throwing rocks into the water. 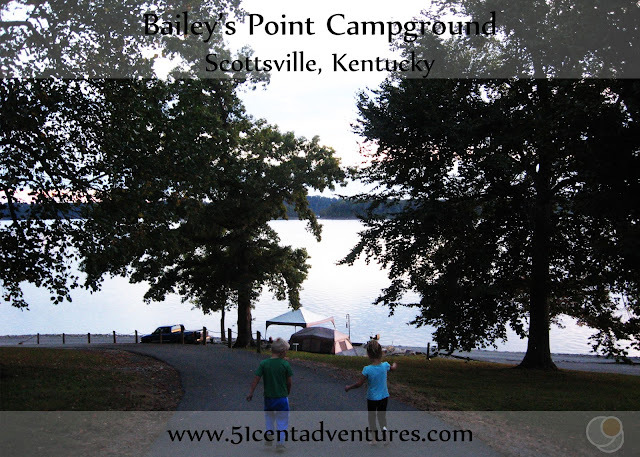 All I'd wanted from Bailey's Point was a campsite that was near Mammoth Cave. Instead I was able to enjoy another slice of paradise in Kentucky. Late that night, as we drove back to Alabama, my husband and I reflected on how perfect this trip had been. That's when we started dreaming up the half baked idea of spending all of the summer in 2017 on vacation. That idea eventually matured into the plan to work for Xanterra Resorts in Yellowstone and live in an RV all summer. We start that adventure in a month. Part of me wonders if we'd ever come up with that plan if we hadn't spent a night at Bailey's Point. Recommendation: I highly recommend Bailey's Point Campground. In fact, if you are planning on staying at the Mammoth Cave Campground I would actually suggest you just change your plans and stay at Bailey's Point. The facilities and campsites are well maintained. Most of all it's a beautiful campground with awe inspiring scenery. Directions: Depending on what direction you are travelling your directions to Bailey's Point will vary. The most direct route is to take Highway 31-E to Hwy 252. Go 1.5 mi to Hwy 517 and turn right the you just follow the signs to entrance. 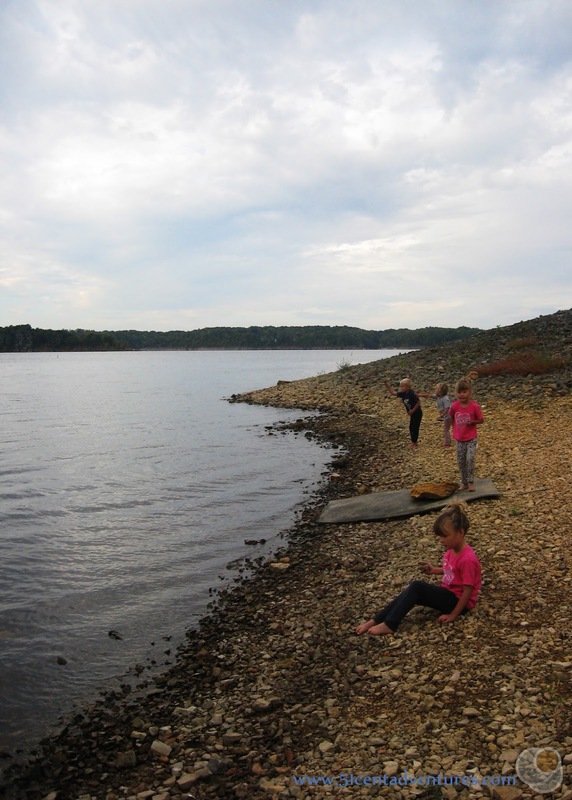 Places Nearby: Barren River Lake State Park is a few miles southeast of Bailey's Point. 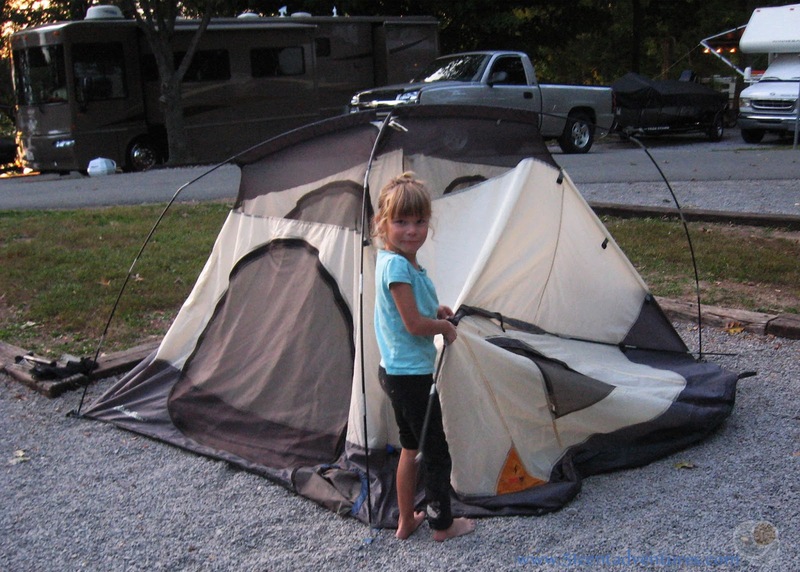 The resort style state park has campsites as well as cottages and hotel rooms. There are day use areas including a sandy swim beach.